A small, simple and rapidly drawn sketch for visual brainstorming to fish for a variety of different ideas for a design. 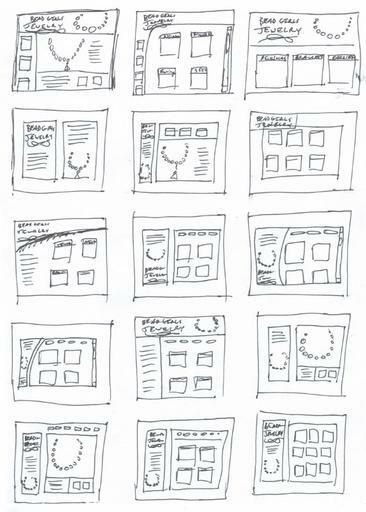 The first visual forms of an idea are thumbnail (small) sketches (simple drawings). It is important that they are drawn quickly since you want to record your ideas while they are fresh in your mind. 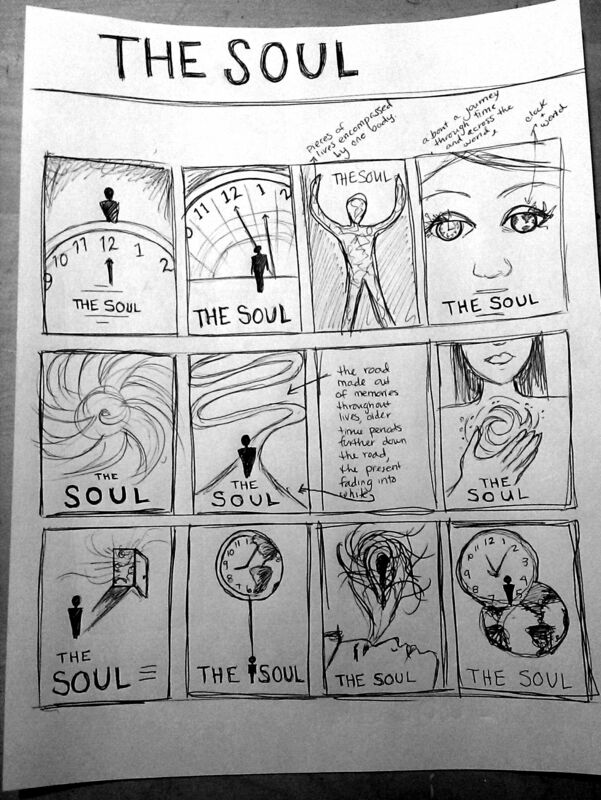 Thumbnail sketches are only helpful to the designer in brainstorming of a design or product. Thumbnail sketches are akin to doodles; they are nothing more than quick, rough drawings that approximate layouts and placement of key design features or elements. Drawing thumbnails with actual paper and pencil is a great way to brainstorm layout possibilities swiftly and easily. The advantage of thumbnails is to provide rapid concept development and visual exploration of ideas. Thumbnails are probably the most important way to make your work more creative because the first idea is rarely the best. Thumbnail sketches are used by all kinds of artists, designers, animators, film-makers, and illustrators. It is important that they are drawn quickly since you want to record your ideas while they are fresh in your mind. The mightiest cathedral might have started as a small scribble that was only meaningful to its designer. Thumbnail sketches are shorthand notes for designers. Thumbnail sketches are one of the most powerful tools available to an artist. This is where the image is invented. Thumbnail sketches are a very productive way to try out and evaluate many ideas in a short period of time. It is not necessary to draw all of each of the thumbnails. You might just draw details or a few samples of a repeated pattern to get the idea. The sketches are not meant to be finished miniatures. They need only communicate their meaning to the designer. Draw as many ideas as you can, keeping the assignment in mind. 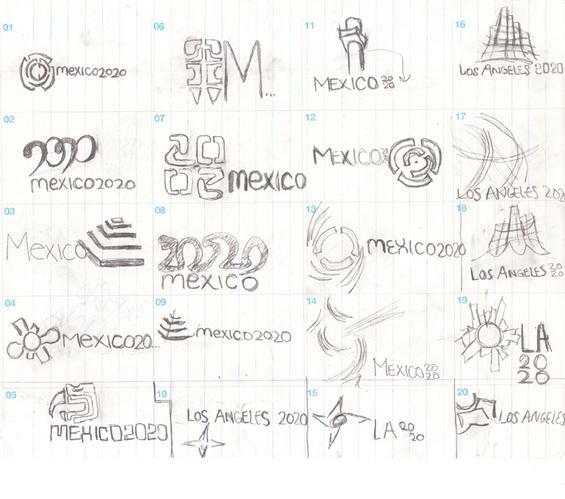 Sketching is an excellent way for you to quickly explore design concepts. In this video I share why sketching first matters, and how it's impacted my design process. IMPORTANT: Watch the format! When you need to design a page layout (i.e. 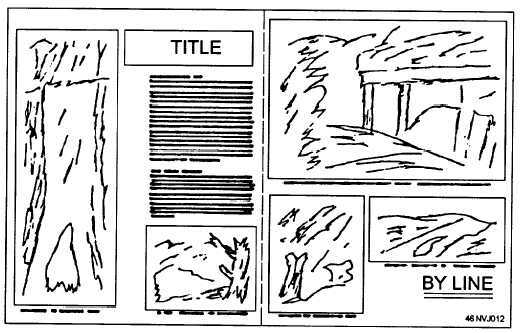 business card, brochure, flyer, poster, newsletter, yearbook page, even a web page) you should be sure to keep your thumbnail sketches in correct proportion to the format of the finished page, for example, a landscape or portrait orientation. Photos can be shown by a simple rectangle box. detailed than most thumbnail sketches.